Topics: Board Of Directors, Advisory Board, Board Of Patrons, Structure, Mission, and Programs. It is hosted by American Registry For Internet Numbers (Virginia, Chantilly,) using Apache/2 web server. It has 2 DNS records, ns6.unifiedns.com, and ns5.unifiedns.com. 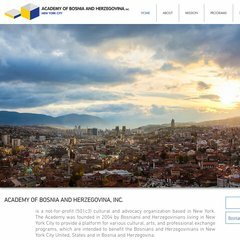 Academybh.org's IP address is 69.50.218.228.